Now you can set your bobble collection to stunning thanks to Bif Bang Pow!’s Star Trek: The Original Series Phaser Monitor Mate Bobble Prop! Available now for pre-order at EntertainmentEarth.com! 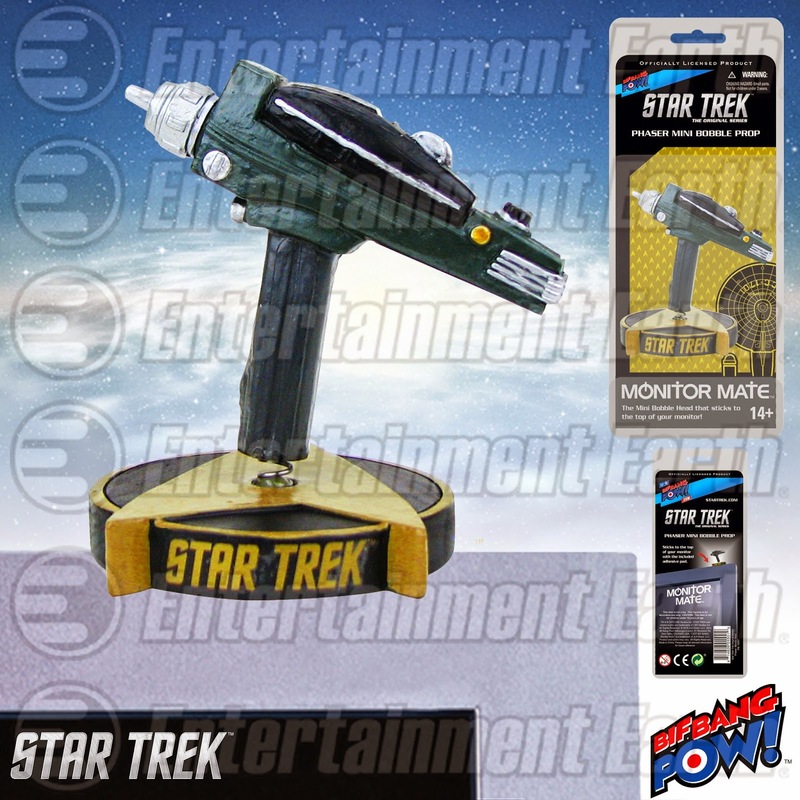 Inspired by the phaser from Star Trek: The Original Series this miniature bobble prop will boldly let everyone know you are one of the biggest Star Trek fans in the known universe! Crafted of resin, the original series phaser bobble measures about 3-inches long by 2 3/4-inches tall, including the delta themed base and comes with a non-damaging adhesive pad to easily attach to your monitor. See more of our fantastic Star Trek collectibles!